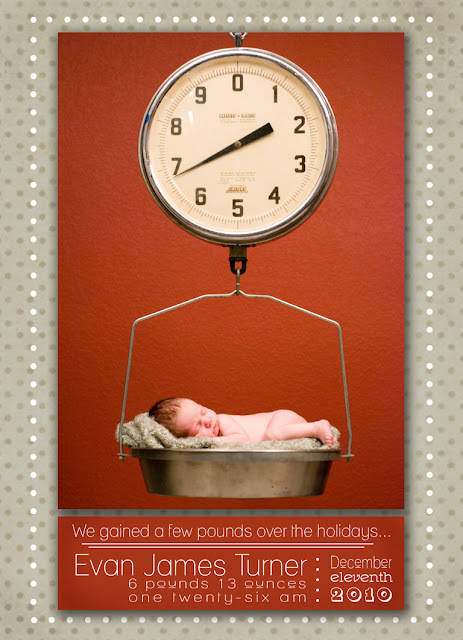 Kathleen Rose Photography Blog: Colorado Newborn Photography | Custom Designed Announcements! 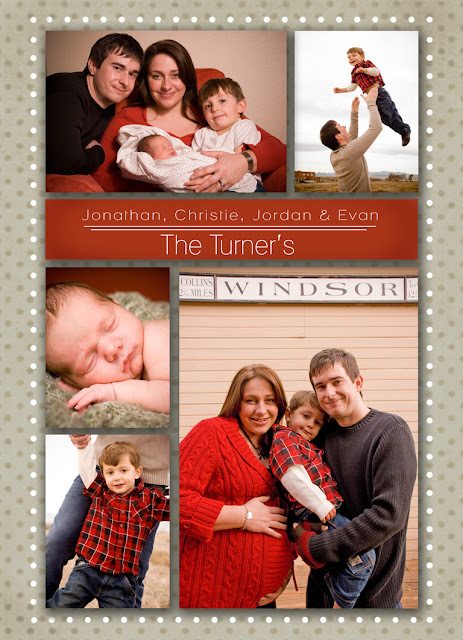 Colorado Newborn Photography | Custom Designed Announcements! I am not a graphic designer. That being said, I love color, fonts, graphics and layouts. I create my own albums for customers and my website has always been designed by me. I love the challenge of balancing great photographs, meaningful text and coordinating colors to make something meaningful. This is a baby announcement I designed for Baby Evan. I used colors and texture that fit with the images from two sessions that we chose to be on the invitation. The parent's had the idea of saying that they "gained a few pounds over the holidays" so we were able to make the card even more personal. Having a design custom created to fit the mood and style of your images really gives a custom look that no one else will have. These are truly unique! I am always up for designing announcements, Christmas cards and thank you's - here is a link to more information on my website. Please email or call me if you are interested!